The first product which the company releases on the market is the Pulse Induction detector SSP-2000. The demand is quite strong and some months later for sales has been released the PI detector SSP-2010. This is an unique system, combining PI detector and magnetometer, allowing the discrimination of the unwanted ferrous objects no matter their size and ageing in the ground. In 2001 the company designs the first PI detector in the world with micro-processor control, touch pads and graphical image of the signal. The SSP series find wide markets and huge sales, and the funds received allow the opening of a new branch of the company – the production of accessory coils for the leading brands of metal detectors. The first models of coils are the 14” EXcelerator coils for Minelab’s Explorer and Sovereign detectors. For their make is used one of the patented technologies of the company. The housings are made by hand from chopped-strand material and polyesther resins. Thus the housings are light and very strong, but the process of production is too slow. This forces the purchase injection moulding and vacuum thermoforming machines in the next years, as well as the make of steel moulds for new housings. In this period the company receives 5 patents in the field of metal detectors and searchcoils for them. 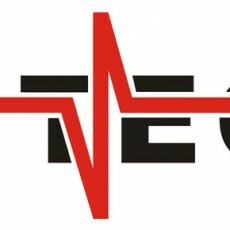 Detech Ltd is the first company in the world, applying searchcoil with built in magnetic sensors in the middle sector. This allows perfect discrimination of the ferrous objects by the PI detectors. All our coils are made using high quality materials. The housings are made of UV protected material. Their inner side is covered with chopped-strand material for a better shock resistance. We use resins, which are “transparent” for the electromagnetic waves, and perfect shielding. The coils are water resistant, and operate in a wide temperature range. The searchcoils are standardly equipped with excellently fitting cover, and have two years full warranty. 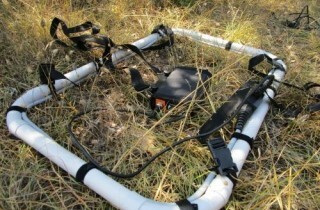 Detech Chaser 14 kHz Metal Detector -Top QualityWith free coil protectorThe new Detech Chaser is intuitive and extremely easy to operate:5 languages Menu – English, French, Russian, Spanish and TurkishIt also features a HELP function in each of the languages in order to make thing eas..
Detech EDS Gold Catcher 28 kHz with 2 search coils: 6 inches (15 cm) and 10 inches (25 cm) Round DDFree coil protectorsDetech EDS Gold CatcherThis is the ultimate gold nugget detector. You will go deeper for small non ferrous objects , than ordinary VLF detectors. In addition to this ..
Detech EDS II Plus 14 kHz Metal detector - find deeper targets TILL STOCK LASTS!! !Detech EDS (Energy Dispersive Spectrometer)14 kHz Plus II is a metal detector with extreme search depth and stability on mineralization. It's equipt with a butterfly SEF search coil with coil cover. The..
Detech EDS Reacher 28kHz metal detectorWith free coil protectorThe world’s deepest entry level metal detector!The Detech EDS Reacher 28kHz VLF metal detector is a new model, better and faster than its predecessors: Winner (I and II) and Reacher 14kHz, offering very good depth and superior discr..
Detech Relic Striker 4.8 kHz with 2 coils: SEF 18x15 and 13"Ultimate DD search coilWith free coil protectorsThe Detech Relic Striker is a very deep, stable VLF relic detector. It's designed for searching big objects buried deep in the ground. The low 4.8 kHz frequency gives the opportunity..
Detech SSP 2100 Pulse Induction metal detectorStandard Equipment:- Control box in a leather cover- 1m x 1m Square Discriminating coil- 3 parts shaft- 5” non-discriminating coil- 14” non-discriminating- Rechargeable battery system- Pack for external power supply- De..
DETECH SSP 5100 PULSE Profesional gold and relics metal detector – Super fast tuning to the ground– Bigger display with higher definition, with more precise graphics– More sensitive, better detection depth– More functions, but extremely intuitive and easy for operation– The microprocessor track..
DETECH SSP 5100 PULSE PRO PACKWith frame + 18"discriminating search coil+ s-shaftA PI frame detector with a real discrimintaion!! !– Super fast tuning to the ground– Bigger display with higher definition, with more precise graphics– More sensitive, better detection depth– More functions, but extremel..
Detech Relic Striker 4.8 kHzWith free coil protectorThe Detech Relic Striker is a very deep, stable VLF relic detector. It's designed for searching big objects buried deep in the ground. The low 4.8 kHz frequency gives the opportunity to work on high mineralized soil, with better results t.. Accessories for metal detectors In this section you will find Metal De..
Professional metal detectors for deep buried metal objectsMetal detectors u..
Gold Prospecting metal detectors, pans and gold dredgeGold prospecting is t..
A metal detector is an electronic instrument which detects the presence of ..
DETECH SSP 5100 PULSE PRO PACKWith frame + 18"discriminating search coil+ s-shaftA PI frame detector with a real discrimintaion!! !– Super fast tuning ..
Thracian Mineral PowerPulse Induction Metal DetectorThracian Mineral Power Metal Detector is specially developed to work in highly mineraliz..
Detech Chaser 14 kHz Metal Detector -Top QualityWith free coil protectorThe new Detech Chaser is intuitive and extremely easy to operate:5 langua..
Detech EDS II Plus 14 kHz Metal detector - find deeper targets TILL STOCK LASTS!! !Detech EDS (Energy Dispersive Spectrometer)14 kHz Plus II is a ..
Detech EDS Gold Catcher 28 kHz with 2 search coils: 6 inches (15 cm) and 10 inches (25 cm) Round DDFree coil protectorsDetech EDS Gold ..
Detech Relic Striker 4.8 kHz with 2 coils: SEF 18x15 and 13"Ultimate DD search coilWith free coil protectorsThe Detech Relic Striker is a ve..
Detech Relic Striker 4.8 kHzWith free coil protectorThe Detech Relic Striker is a very deep, stable VLF relic detector. It's designed for se..
Golden Mask 5+ metal detector with wireless headphones mod. 106With free coil protector This is the new, improved version of Golden Mask 5. ..
Metal detector Thracian Manual Ground 13, 15, 18 or 22kHzWith free coil protectorOriginal Thracian metal detector is a 13 kHz working machin..
Thracian PinpointerFind targets faster. Static detection target recovery. 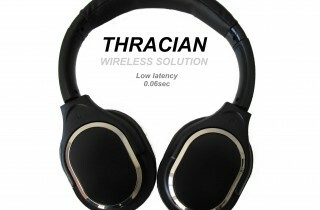 Audible, vibrating alarms and led alarms increase in intensity based on..
THRACIAN 2.4 G Wireless Headphones with External TransmitterLow latency - 0.06secThracian Wireless headphones 2.4G with high quality sound ( freq..
Telescopic carbon stems for Golden Mask 5Handle for Golden Mask Deep Hunter. Very strong, made of carbon with telescopic stems. Made for big..
﻿Lower carbon stem for Golden Mask S-shaftThis is the lower stem from Golden Mask handle, made from 100% carbon..
Detech 15 inch DD search coil for GPXNEW TECHNOLOGY - SPIRALLY WOUND COILS - PATENT OF DETECHSUPREME SENSITIVITY TO SMALL GOLD NUGGETS AND EXTREME DEP..
Detech 14″ Ultra Sensing Mono coil for Minelab GPX seriesNEW TECHNOLOGY - SPIRALLY WOUND COILS - PATENT OF DETECHSUPREME SENSITIVITY TO SMALL GOLD NUG..
Detech S.E.F. 15x12 inch search coil for: Garrett Ace; Minelab E-trac, Explorer,Quattro,Safari, Sovereign; Fisher F2,F4,F5,F70,F75; Teknetics Alpha,De..
NEW Detech S.E.F. 10x5"WSS search coill for Garrett ACE; Minelab E trac,Safari,Quattro,Explorer; Teknetics T2,G2,Alpha,Delta,Eurotek; Fisher F2,F..